Harry Beck an English engineering draftsman at the London Underground Signals Office believed that passengers riding the trains were not too bothered about the geographical accuracy, but were more interested in how to get from one station to another, and where to change. He came up with the radical idea of presenting the ever-expanding network as a circuit diagram rather than a geographical map. This diagram looks more like an electrical schematic than a true map. All the stations were more or less equally spaced. He clarified a complex system to produce a simple, easy to follow diagram. 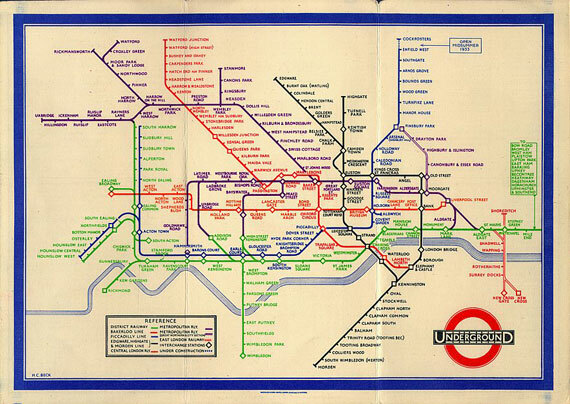 Beck first submitted his idea for a simpler map to Frank Pick of London Underground in 1931 but it was considered too radical as it did not show distances relative from any one station to the others. During 1933 the map was tentatively introduced to the public in a small pamphlet (700,000 copies). It immediately became popular and the reaction of the travelling customers proved it to be sound design. It required a large reprint after only one month. Beck was paid £5.25 that was the equivalent of 2 weeks wages as a bonus for his his "Design Classic"! 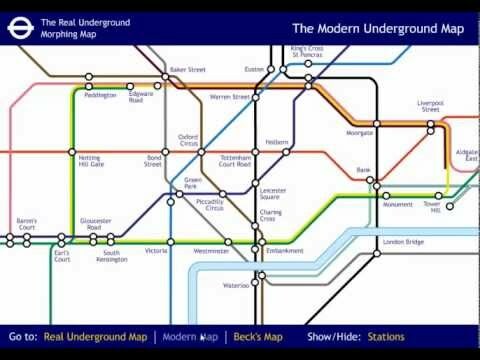 The following video shows you the differences between a modern map, a geographic accurate underground map and Beck’s map from 1931. For the interactive version click here. The original London Underground diagram, designed by Harry Beck in 1931 is one of the greatest designs of the twentieth century. 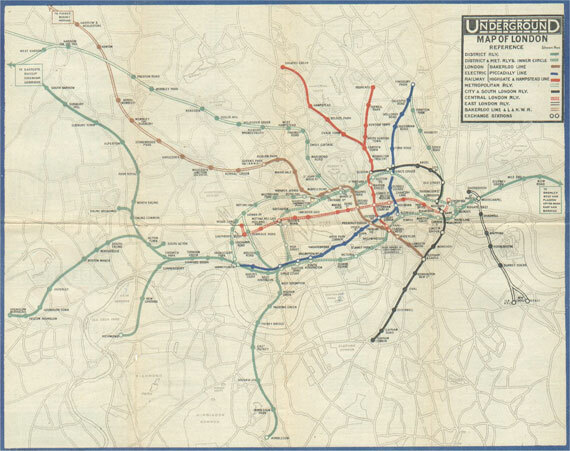 The principles he established for the diagram are still in use today and the Underground has used topological, schematic maps to illustrate the network ever since. 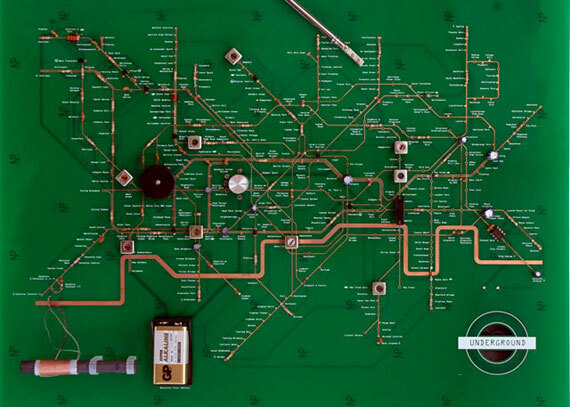 Finally here is a Homage to Becks design classic by the Japanese designer Yuri Suzuki who created a functional ‘London Underground Circuit Maps Radio’!